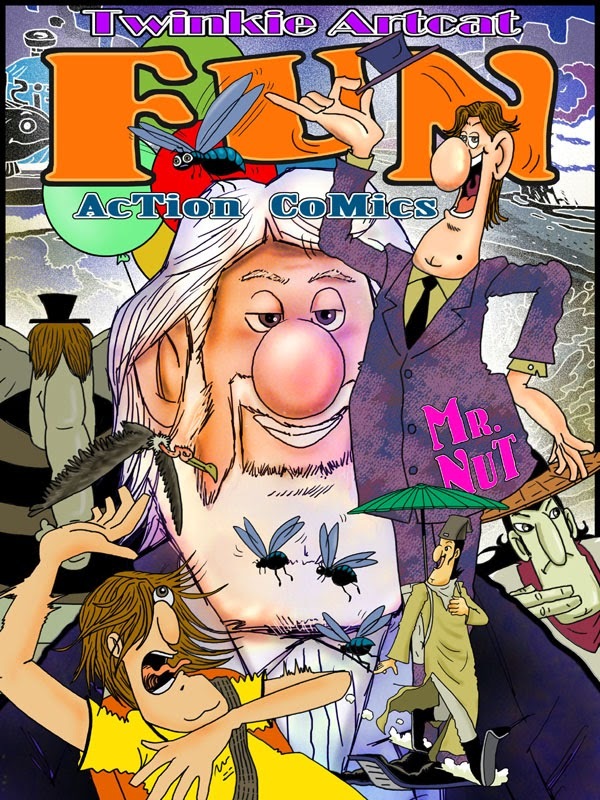 Fun Action Comics: Fun Action Comics book 1 published! A collection of 76 600x800 pixels full color drawing of fun action. Comics for people of all ages. In this issue, we have 7 action story. They are 'Mr. ELEPHANT', 'NO SMOKING', 'THE SWORDSMAN LEEWHITE', 'ANNYEW : DOOR', 'SHORTCUT', 'BEWARE' and 'MR.NUT'.